We got into this business because we take great joy in our craft. Remember when you were a kid and you created something in class? You were proud: you wanted to show it off, run and tell your friends, family, and everyone else you knew. For us, we’re running to tell you about the products we’ve made. 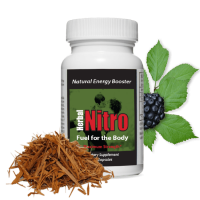 See, back in 1999 when we incorporated as Herbal Nitro©, the idea was simple: Make products so good that we would feel comfortable giving them to our family and taking them ourselves. 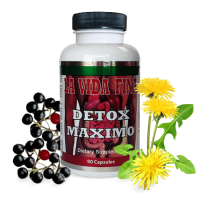 Before 1999, we had been in the dietary supplement business for a few years, but were selling products as another brand. It wasn’t long before we realized, however, that if we were going to give our customers the high quality products they deserved at a price they could afford… we were just going to have to be more involved in the production. And this meant one thing: source the ingredients ourselves. This way, we can ensure our products feel the same (are equally as effective) every single time you take them, whether that’s in 1999 or 2050. So when you take our products, they will be consistent every time, because we measure each and every batch of ingredients that leaves the facility. We care about ingredients.If you couldn’t tell, ingredients are a very big deal to us. They determine whether or not the product works. But just having “effective” ingredients isn’t enough: The ingredients need to be all-natural. We don’t want to put chemicals in our bodies, and neither do we want that for you. We care about our customers.You, our customer, are the reason we exist. It’s important that you’re completely satisfied not only with our products, but also with our service. It’s crazy–some of our customers we’ve known for so long (up to 20 years), that we call them by name–we know them truly. We hope our future is filled with more and more rich relationships like these, and we hope you can join our family like the others. We care about compliance with FDA.If you’re not familiar with the FDA, you’re a lucky one. We who deal with dietary supplements must be, because our products must hold to the statutes of the Federal Drug Administration; otherwise, we couldn’t sell the products we love making. Thankfully, we’re 100% compliant with all our products, because as a company we believe in integrity: and part of integrity is following the law, even if we don’t agree with it all the time.